There are lot of workout applications out there. But only few of those appeal to the audience. It has been observed that the most preferred workout apps are those which provide intense workout quickly. 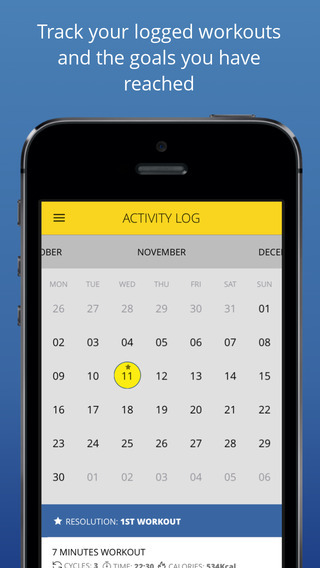 Needless to say, workout applications which are built for time-management remain most popular ones out there. The 7-minutes Pro workout is one such admirable app, which first of all deserves a pat for its user-friendliness and ease of operation. 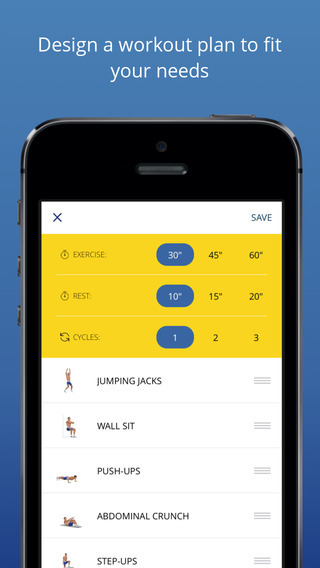 True to the name, every workout listed in the app comprises of seven minutes. That’s where it entertains people, as one can finish their intense training in just spare time. It comprises series of twelve bodyweight exercises, which requires no equipment except a small chair and a wall. Also, the intensity level of the workout can be carried out between scale of one to ten. Every exercise be it push-ups, pull-ups, crunches, squats, etc. can be carried in a thirty seconds frame with ten seconds break between them. The best thing about this app is that it completes your workout in seven minutes. But is it possible to end the workout in just 7 minutes? Believe me, if you are really dedicated enough to follow the app instructions, seven minutes should suffice. However, as they say, no proper workout can be done in such a short time, the whole repetition set and break time together take around 20 minutes or so. Nevertheless, the time bandwidth prevents you from wasting any time between workouts. Moreover, you stay away from distractions. But when you perform these exercises, always select a higher intensity level than you can manage. This ensures that the time spent with the app is productive one. Make these 7 minutes the hardest seven minutes of your day, if you want to see some real results. Many people have noticed increased in heart rate just after couple of moves, which is a very good sign. If you follow the app religiously, you’d be drenched in sweat after seven minutes. Be it any exercise, let’s say triceps dips, will make you feel the pain just halfway through the set. Yes, the application is excellent for High Intensity Circuit Trainings (HICT). The main idea of the application is to encourage quality over quantity. Therefore, it deals with the concept of extreme intensity workouts in short period of time. It not only saves time, but pushes the body for intense level of metabolism development. It is no wonder that the app is built around the concept of HICT. It can really do wonders when instructions are executed properly. One requires sheer will power to undertake immense pain and malaise for seven minutes, if one is serious about the same. Yes, if one is hale and hearty, this can be tried by one and all. However, there are few medical exceptions which need to checked. Also, older people should have a word of caution, as mentioned by the writers. It is not any other workout application, and it can be easily recommended for every one under the sun. So, our final verdict — Try it once. If you are a workout freak, you’ll just love it.